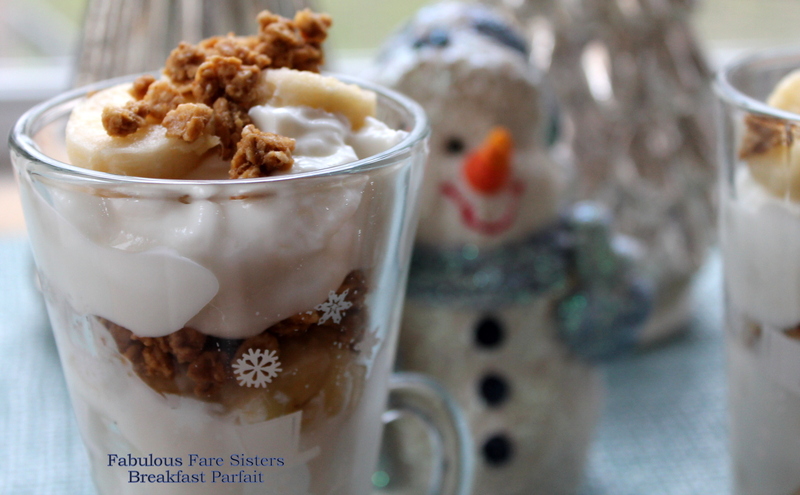 In two decorative glasses, layer the yogurt with banana slices & granola. The perfect Monday morning breakfast as it’s light and healthy! I don’t usually eat Greek yogurt but after reading this, I might start! This looks delicious! I am definitely trying this in January 🙂 Oh, and I love your snowman! 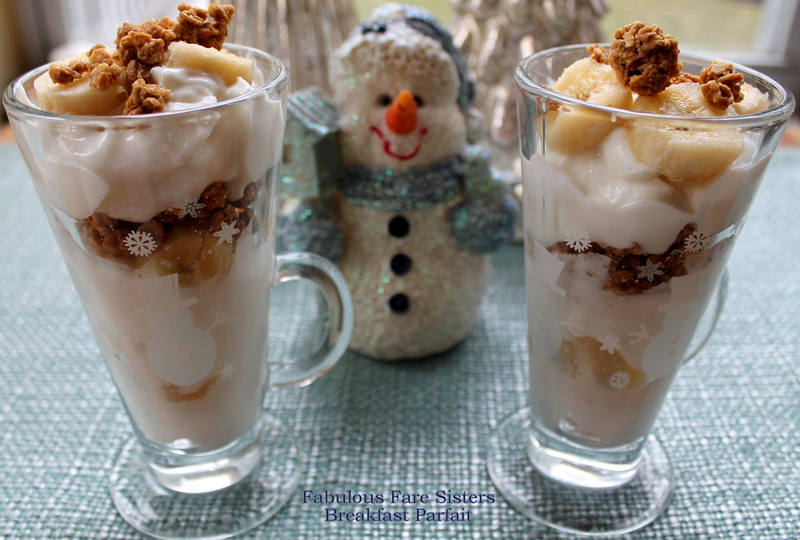 This is one of my favorites as breakfast or an afternoon snack! It looks delicious!